High-speed transportation company Hyperloop One, which landed $85 million in additional funding last month, revealed today that it has gained a new board member in business magnate Richard Branson, whose Virgin group was secretly responsible for an unnamed portion of that funding. The company will rebrand as Virgin Hyperloop One. Hyperloop One has spent the last three years floundering, and seems unlikely to materialize as a functioning consumer-facing entity any time soon. And as Branson told CNBC, a loop is only likely to break ground in two to four years if “governments move quickly,” a thing governments are rarely known to do. Those who recall Branson cosplaying as a mermaid, or refusing to move out of the direct path of a category 5 hurricane could be forgiven for thinking the knighted Brit has lost all grip on reality—investing in a vapory transit startup being the latest evidence on his descent into full-on Howard Hughes-dom. 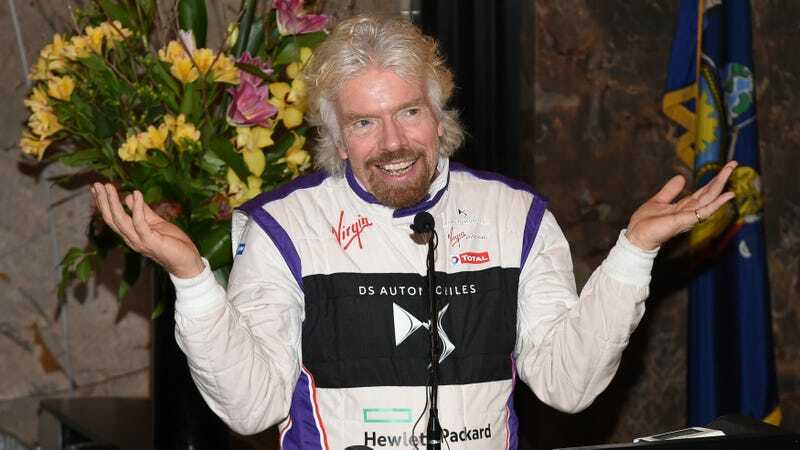 Resembling a latter-day Johann Sebastian Bach lost in Margaritaville, Branson has decided to add high-speed tubes to his portfolio of transit companies already in the Virgin Group, which includes two regular-speed train divisions, Virgin Atlantic (planes), and Virgin Galactic (commercial space flight, eventually). For somewhere shy of $85 million, the financial future of what Virgin calls “a responsible and sustainable form of transport” (in a press release that partially cribs from Wikipedia) ultimately amounts to a throwaway bet from a billionaire. On balance, that’s better than investing in ways to turn the poor into fuel, but worse than solving wealth inequality. 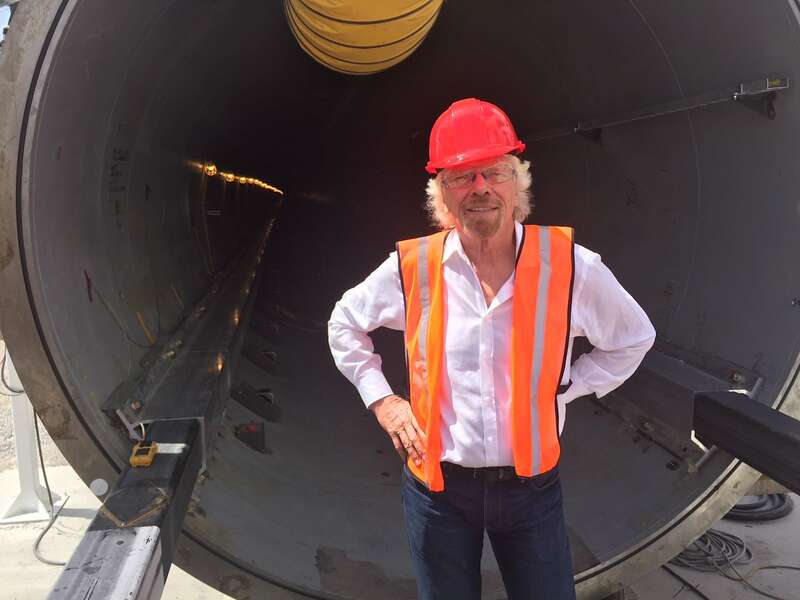 Branson of course took the opportunity to pose in front of an open chunk of Hyperloop wearing a hardhat. While reality is likely to keep Hyperloop One at arm’s length for some time, the company did manage to run its first successful high speed test in August.